It’s that time again. I went by Highlan this week to look around at what is new and to see what might catch my eye for Christmas. My son lives way up north in Connecticut and is not the least bit interested in woodworking nor does he have a lot of money to spend on Christmas gifts for me. I feel an obligation to make a list of some of the things I would like to have which do not cost an arm and a leg. I pretty much have all the woodworking tools you can get which cost less than $300 and that narrows the choices down pretty good for a kid trying to survive the heating season way up north on a preacher’s salary. Here you go, Jon. I like the Magnetic LED Work Light for my lathe. This light is excellent on many counts. 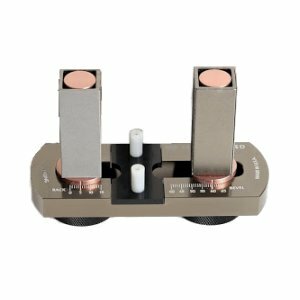 It has a long flexible neck, a magnetic base which goes vertical and horizontal and actually has a switch which turns the magnet off and on (how does that work?). 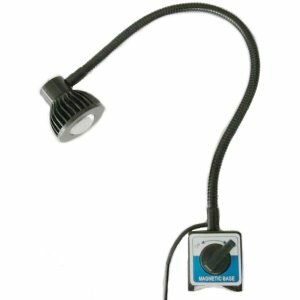 It uses an 8 watt LED bulb which puts out a lot of light and is rated at 50,000 hours. The thing I like best is it puts focused beams of white light about four feet away and will light up the bottom of a turning bowl when I set it on the lathe bed. The only one I have seen which is better is the one my dentist has on a track above the chair to light up your mouth. The dental light probably costs $3000 used. The one at Highland is my choice. 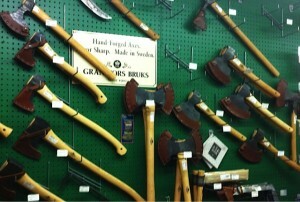 When I was in the store last week, there is a whole wall of what I would call Viking axes. These are beautiful pieces of work signed by the smith who forged it. The one I like best is the Gransfors Bruks Double Bit Axe. If I were a lot younger, I could bring down a redwood tree with this thing. You know those old pictures where the lumberjack is standing on a spring board about forty feet in the air notching out for a saw cut on a 1500 year old tree about 60 feet in diameter, that would be me. Actually, this one is designed for throwing competitions. It even comes with competition axe-throwing rules and the address of the Swedish Axe Throwing Society. How cool is that!!?? They better ship a trauma wound kit with it if I am going to throw it. My first thought when I saw the axe wall — Road Rage!! 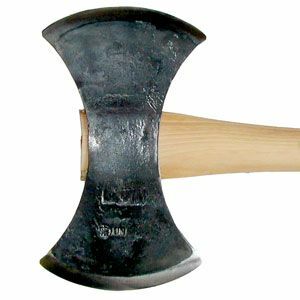 How cool would it be when some guy cuts you off on the freeway and starts toward you with a baseball bat and you pull out a Viking Axe? Plus think about Show and Tell at your grandkid’s school. Good one. To Make as Perfectly as Possible by Roubo. This is a new translation of a French classic on an 18th century cabinet shop. Now it sounds like it would be terrible stuff what with no power tools and modern conveniences. What is does have is the back to basics stuff we all need on sharpening tools, selecting wood, staining and finishing, and all the other things you need to dig up from time to time. Nothing but good reviews on this one. The Practical Woodworker A Four Volume Set by Bernard E. Jones. Originally published in 1916 and recently reissued, this is another back to basics volume. I was flipping through one volume and there is a whole chapter on joinery in “Aeroplanes.” Been a long time since I saw an article about that, but you know it has a lot of good stuff if it has a section on aeroplanes in it. If you are in the middle of a WWI Sopwith Camel and are stuck on how to attach the wings to the body, this may do it for you. Highly recommended. With the Grain – A Craftsman’s Guide to Understanding Wood by Christian Becksvoort. I am a big fan of Christian Becksvoort. He is so down to earth that he has a blog where he averages one blog entry every three months if he thinks about it. He makes the most beautiful Shaker furniture and I would buy all he makes if I could afford it. He donated a lovely Shaker Candle Stand to the Sabbathday Lake Shaker Village for a raffle. I bought tickets for the drawing on December 7th and I would really treasure that thing. Please do not buy tickets and decrease my chances to win: http://chbecksvoort.wordpress.com/2013/07/23/shaker-roundstand-raffle/. We would all be better woodworkers if we understood our material as well as this guy does. Read this book. And one last tool is the Galbert Drawsharp by Benchcrafted. This one is high on my list. I struggle with sharpening and I am afraid to sharpen my drawknife for fear I will mess it up completely and make a chisel driven tool out of it. That would be sad because I like what it can do and I am getting better using it. Peter has designed a tool to sharpen the thing and it runs off the rear of the blade for reference. Looks like it works like a champ and you can ask Pete about it in March when once again he comes to Highland to teach a chairmaking class. You had me at “Viking Axe.” But how will you get it on the plane to go home? You had me at “Viking Axe.” But how will you get it on the plane home?